Nginx, many people talk about it, although sometimes is wrong in the pronunciation, Nginx (pronounced "engine x"). And what is Nginx? Quoted from Wikipedia, Nginx is a web server like apache. It can act as a reverse proxy server for HTTP, HTTPS, SMTP, POP3, and IMAP protocols, as well as a load balancer and an HTTP cache. Created by Igor Sysoev in 2002, Nginx runs on Unix, Linux, BSD variants, OS X, Solaris, AIX, HP-UX, and Windows. Released under the terms of a BSD-like license, Nginx is free and open source software. If seen the facts at this time, has become common knowledge that apache is so popular and is used in almost all hosting services in the world. Although Apache is very popular, but still can not handle the needs of web servers that have high trafic. So a few people in the community created an alternative solution, a web server that is intended more to the use of performance, convenience, speed. So it can handle the high dense traffic. In 2008 at WordCamp SF, the internet world experts said that nginx was 50 times faster than apache. Naturally, if the web server with heavy traffic such as Facebook, Twitter, and the others using the Nginx web server as the backbone. 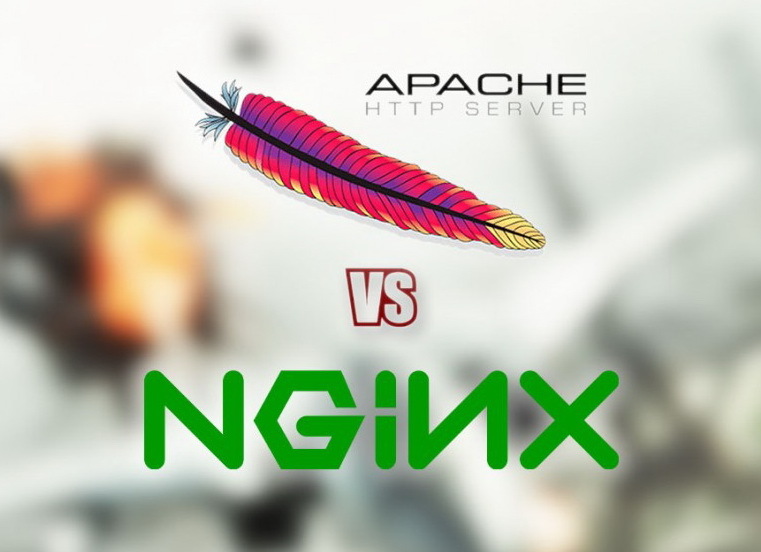 In this article we will discuss 5 reasons why switching from Apache to Nginx? The one that makes nginx it very fast is the kind of nginx architecture itself. If compared with the apache based process, nginx is more superior with utilize the minimum thread to process requests from the user, so that eventually Nginx can be used with minimal memory. Because the memory used is very small, the results is make the server becomes more responsive (has a super fast response). So, what extent Nginx's ability to save memory when compared with Apache's ability? The test was performed on a server who prepared to handle 10 million requests per day, it's means that the server is required to handle several hundred requests per second. When test is running using Nginx (after various configurations and tweaks), the highest peak of memory usage is only 15MB and only utilizing 10% of CPU resources. With the same test, and then submitted to the Apache, the result is Apache fails due to running too many threads. The amount of used memory is 400MB for all the thread stack. And even a memory leak occurs around 20MB per hour. So, nginx has performed far better than apache. For those of you who are used apache's configuration, is not too much different from nginx. The difference in nginx configuration would be so much simpler than apache. And already many tools provided to facilitating installation of nginx, as well as for the optimization, can be used to serve the high traffic. When talking about the popularity and number of users, Nginx is not yet able to against Apache. Because Apache still dominates the web server. In 2009, Apache has penetrated more than 100 million websites. In January 2012, 58% of all websites in the world using the Apache web server as the backbone. Although Apache is currently difficult positions to be shifted, but Nginx also didn't stand idle. In 2011 there is 15 million web server are using Nginx, and per month of November 2011 has reached 43 million. It's means an increase to 300%, so clearly that nginx was increasingly popular, is getting ahead.